Did you call me a Hotard?! Situation: The family riding on the downtown streetcar in New Orleans. Me, chattering away about how much I love the architecture and similar thoughts on how interesting the city is. Me: What?!! Did you just call me a hotard? Jana: What? 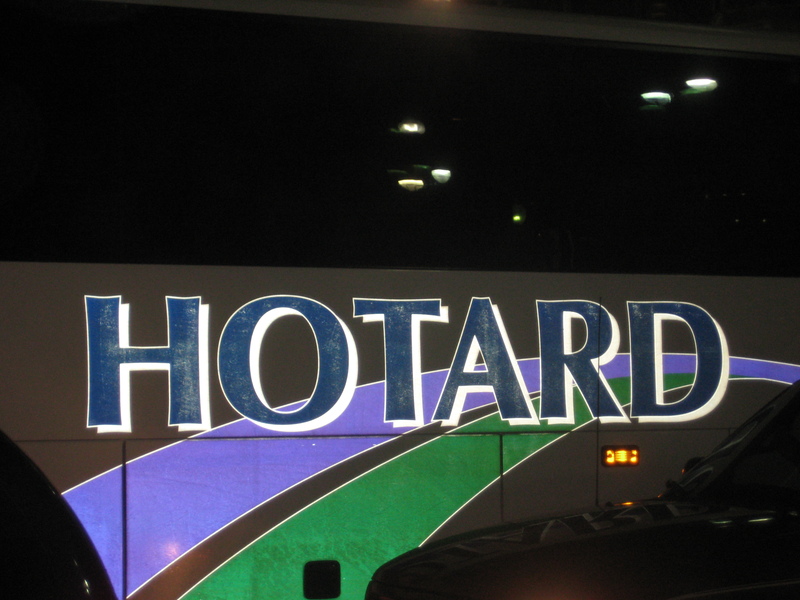 What the heck is a hotard? I was just reading the name on the back of that bus in front of us. Me: Oh, sorry, I thought that was another one of those words you guys make up. Like the camp language. So then we got to talk about what a hotard would be and how it was wrong on so many levels. Think about it. Break that baby down. ‘ho. ‘tard. Both, SO not ok.
Hey, you can’t blame me for thinking this was another one of those slang words my kids seem to know the meaning of and are always trying to explain to me. Like just the other day they spent all sorts of time explaining to me what a meep was. Now if only I wasn’t such a hotard I might remember what they said. I just don’t know what to make of this style. Are these bandals or soots? Neither really works for me. Sometimes you can get away with a combo name. Like the skort, for instance. That was big back in the seventies. That shorts/skirt combo. The new word just worked. These simply don’t cut it. Nor does the style in my book. Seriously, did she buy these because she truly loved them or because she was a slave to fashion? Or would that be a gladiator? We had dinner tonight at a favorite place on the water that is situated by a marina. This sign is posted just as you leave the restaurant. Danny and I were reading it and found it rather humorous. Disorder? Ok, that one is clear. But depredation an indecorous behavior. Seriously! Is this common boating lingo or was someone just trying to show off their vocab. Forget about their meanings, we worked pretty hard at figuring out the correct pronunciation. Don’t you love the first definition? ‘Not decorous’. I hate that. Oooh, but violating generally accepted standards of good taste or propriety? Would running naked and drunk up and down the dock fall into that bucket? It could be that Danny is in the throws of the SAT/ACT season but I find it hard to believe that some SAT-word-of-the-day show off did not write these rules. Well, have to go. I am off to display some indecorous behavior upstairs. Enjoy the weekend! Oh, how I love this site. We have spent time looking things up on here and laughing many times. So I decided it was time to submit. Lo and behold my word was accepted. Gotta love it. If you could be so kind, jump over there and show me some love with a thumbs up. For those who were not familiar with my made up word posts you can read Vol. 1 here and Vol. 2 here.